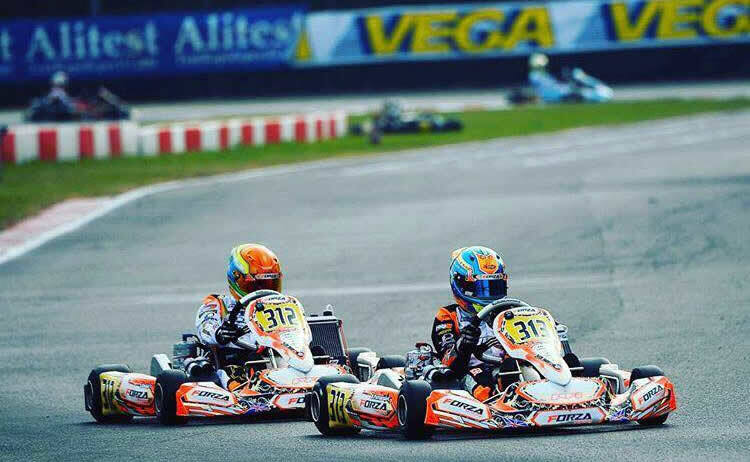 Jonny put in a hard weekend at the South Garda circuit in Italy and came away satisfied with his overall performance. 54 junior drivers lined up for this event, including some of the world’s top karting stars. One notable entrant was Enzo Trulli, son of the well known F1 contender and 1993 vice world karting champion, Jarno. After finishing 3rd in Saturday’s Timed Qualifying session, Jonny had a steady opening Heat, taking 2nd place behind Sweden’s Dino Berganovic. Despite crossing the finishing line ahead of everyone else in Heat 2, he was knocked back to 7th position, allegedly for an infringement just before the start. Those results placed him on grid 5 for the Pre-Final but he was able to finish a close 2nd behind Dexter Patterson. The rules permit a complete change of tyres prior to the main event and, just like everyone else Jonny started this race on a brand new set. His times should have improved accordingly but in fact he was a couple of tenths slower. Even so, Jonny managed to take 2nd place behind his Forza teammate, Dexter Patterson. 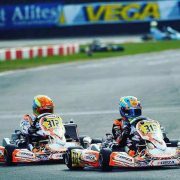 For the next two weekends, he will be competing in the WSK Final Cup at Adria in Italy. Points from both weekends are totalled up and a winner declared from the aggregate score. This event will most likely be his last as a junior driver before moving up to seniors next year.